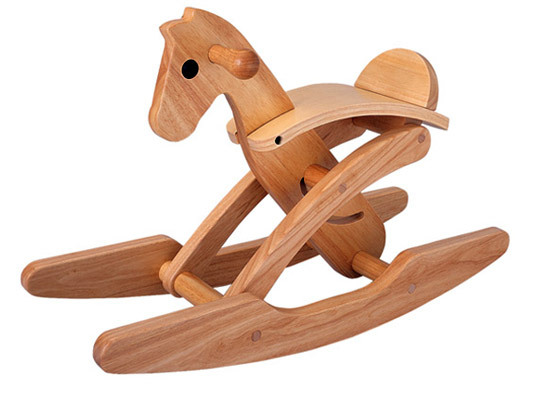 Saddle up with Plan Toys’ Tori Rocking Horse, a childhood mainstay with a sustainable twist: It’s made from rescued end-of-life rubber wood that would otherwise have been burned into charcoal. Designed for toddlers aged 2 to 3, this eco-friendly equine helps young’uns hone their coordination and sense of balance. Another modern feature we love is its ease of storage; the horse folds flat so you can maintain some semblance of order amid the playroom chaos. Talk about bucking the trend! Saddle up with Plan Toys' Tori Rocking Horse, a childhood mainstay with a sustainable twist: It's made from rescued end-of-life rubber wood that would otherwise have been burned into charcoal. Designed for toddlers aged 2 to 3, this eco-friendly equine helps young'uns hone their coordination and sense of balance. Another modern feature we love is its ease of storage; the horse folds flat so you can maintain some semblance of order amid the playroom chaos. Talk about bucking the trend!